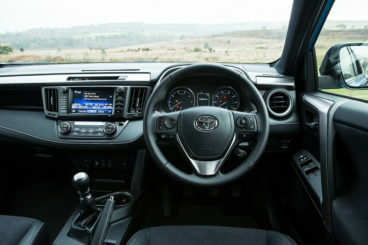 The new Toyota Rav4 SUV is ideal if you need plenty of interior space but don’t want to pay over the odds when it comes to running a hefty family car. Among the cost-saving perks of this chunky but stylish estate is its five-year warranty, which sets it apart from its rivals who continue to offer the bog-standard three years. The Rav4 is also hugely practical and can boast a massive boot to cope with all your shopping and camping equipment. It comes with a generous amount of standard kit, too. OSV takes a closer look at what it’s all about with our Toyota Rav4 SUV review. The outgoing Rav4 which this one replaces was popular with buyers who commented on how much fun it was to drive. We hate to say it, but the new Rav4 SUV isn’t as entertaining. Toyota has opted to craft a machine that is better suited to a bit of cruising. The steering is vague and remains mostly so even when you switch on the Sport mode. It’s essentially a comfortable family car. If that’s what you’re after, read on. There are just three engines to choose from – a diesel, a petrol, and a hybrid. The latter two are paired up with an automatic transmission, while the diesel is mated to a 6-speed manual gearbox. It’s a 2.0-litre engine that delivers 141bhp and can get you from rest to 62mph in 9.6 seconds. This means it’s just as quick as the 2.2-litre diesel that it replaces, but far more efficient. The petrol engine takes over a second longer to cover the 0-62mph dash than the diesel and doesn’t feel as urgent on the motorway or around the town. This is mostly down to its automatic gearbox and the petrol-electric hybrid engine suffers the same result. The vaguely attractive thing about the hybrid is that you get to choose between either two or four-wheel-drive. The differences in fuel efficiency are marginal while in terms of performance, they are non-existent. Whichever setup you choose, you won’t cover the 0-62mph sprint any faster than 8.3 seconds. The diesel is easily the best performer of the three, while the hybrid unit is the worst. That extra 175kg worth of weight is its undoing and combined with the automatic transmission it makes the car feel ungainly in bends, while grip soon runs out. 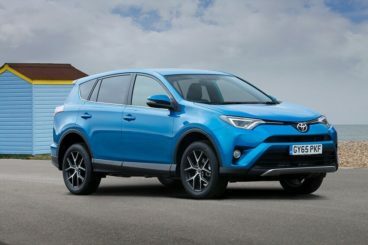 The new Toyota Rav4 SUV certainly isn’t as fun as it used to be, but the ride quality is still good, which means that you and your passengers at least get to enjoy your journeys in comfort. However, the hybrid model is the least comfortable out of them all, thanks to a firmer suspension setup that makes it harder to absorb potholes and various lumps and bumps. Wind and engine noise can be an issue with this model, too, while the diesel is not exactly what you’d call quiet. The cabin is made from strong materials that all look built to last. The dash is not especially stylish, but it’s user friendly and functional. Some of the switches are really looking their age, but this is typical of a Toyota and largely to be expected each time you step foot inside one of their cars. The Rav4 is very practical. A high driving position and huge windows ensure a commanding view of the road, while head and legroom is excellent for those upfront and in the rear. The reclining rear seats are a highlight; they extend legroom and allow those sat in the back to relax on lengthier journeys. There are plenty of storage spaces in here, including cup holders for back seat passengers and a big central storage bin. The 547-litre boot is very usable and comes with an underfloor storage area that offers 100-litres more space. If you opt for the more expensive trims, you also get a power-operated boot. The entry level truly is basic and should be overlooked if you want to get value for money, with features such as cruise control and rear parking sensors conspicuous by their absence. The Business Edition is much better and comes with automatic wipers and headlights, dual-zone climate control, cruise control and a range of neat infotainment systems and gadgets. The range-topping trim throws in LED headlights, keyless entry and 17” alloys. The Icon trim adds a DAB digital radio and a reversing camera, while optional extras include a tow bar and protective bodywork that make the car more robust and safer. Prices for the new car start out from £23,500 and rise to £32,000. If you prefer to lease, you can find more information about our leasing deals on our page here. In terms of running costs, how you much you spend will depend on what you need this car to do. If you don’t need four wheel drive, you may as well stick to the more economic models. If you do need 4WD, you’ll need to be prepared for a bigger tax bill and higher fuel consumption. The 2.0-litre diesel comes with front wheel drive and it’s the cheapest engine to run, being good for 60mpg. It’s our pick of the range. Surprisingly, the hybrid is more expensive to run, despite being front wheel drive also. It can average returns of around 55.4mpg, but does cost less in tax – just £30 a year. The petrol-hybrid is another option; it comes with four wheel drive and can average fuel economy of 55.4mpg while costing £30 a year in road tax. The 4WD 2.0-litre petrol engine, meanwhile, is good for 43.5mpg and will cost £180 a year in road tax. The front wheel drive models are cheaper to insure and occupy group 25, while the four-wheel drive models are in 29. The five-year warranty is attractive in a sector where pretty much every other brand only offers three years, while it’s also worth mentioning that Toyota are well-known for their excellent reliability records. Hyundai are known for their seven-year-warranty, but most cars in any class only come with three years as standard. The fact that this rugged machine has five years is a huge bonus so that you have much more peace of mind than usual in the event that things might go wrong. The Rav4 SUV gets bigger and bigger each year. This time, there has been an increase in with of 30mm and an increase in length of 205mm, which means head, leg and shoulder room is plentiful. Overlooking the entry level, all models are handsomely equipped. It’s fair enough to argue that you almost expect a large estate family car to have a cabin that is more functional than stylish, and some buyers might even prefer it that way. It’s just that this car’s chunky, sporty good looks promise so much more that you can’t help but be disappointed when you step inside. The hybrid version is heavy, slow and expensive. Avoid. 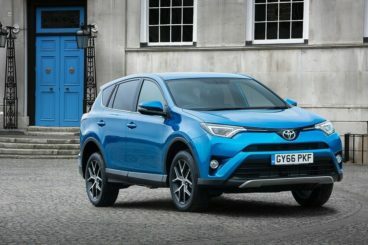 Let’s see how the car measures against its closest rivals in the comparison section of our Toyota Rav4 SUV review. 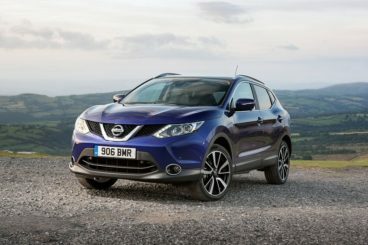 The new Nissan Qashqai is now in its second generation and is on course to be just as popular with families as it was the first time around. The new Qashqai SUV remains fun to drive, with its suspension setup able to resist body lean even at speeds. Stability has been further enhanced by Active Ride Control, which brakes each wheel separately. The diesel engines are all smooth and although the small 1.5-litre diesel unit isn’t especially quick, it’s our pick of the range. Moreover, covering the 0-62 trolley dash in 12.4 seconds is pretty much all the speed you need from a bulky family car such as this. The bigger 1.6-litre diesel engine is quicker, but it costs more to run, while the 1.6-litre DIG-T petrol power plant is faster still, but costs even more to run. Let’s look at the numbers: The 1.5-litre diesel engine averages fuel economy returns of 74.3mpg, the 1.6-litre diesel will return 64.2mpg, while the petrol is good for 48.7mpg. Across the board, then, it’s a fairly economical car to run. 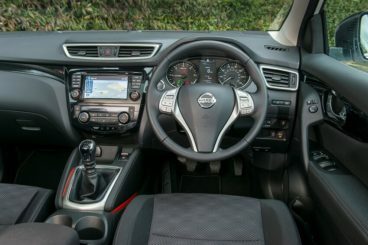 Inside the Nissan Qashqai SUV, the dash is well built and the brand haven’t been at all miserly with their use of soft touch plastics. The buttons are easy to locate and use and we like the intuitive infotainment system. It’s quieter on the move than the Toyota and the suspension setup ensures comfort. It’s a tall car, which means that you get more headroom and a good view of the road, something which proves especially useful when you need to park up in a rather tight space. The panoramic glass roof diminishes headroom in the back, while the boot measures 430-litres. There is no boot lip and the seats fold totally flat, and as such it’s a very usable boot. 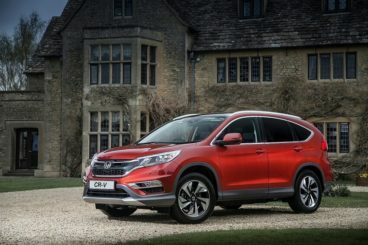 The new Honda CR-V Estate is a fantastic family car that is built to last, comfortable and something you can depend on. 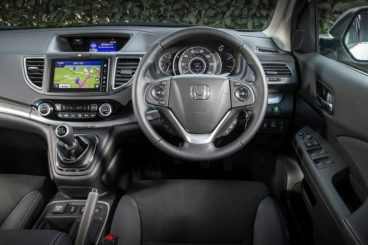 It lacks driving precision a bit more than the Rav4 Estate does and Honda has clearly gone for comfort more than fun on the road. There is an abundance of grip, though, if you accelerate too hard through bends, the inside front wheel spins without warning. Like the Toyota, there are front-wheel drive and four-wheel drive models to choose from. Where the former’s feel agile and nimble, the latter models feels sluggish and vague. Even if you snap up the entry level model, you’ll still be treated to a soft and comfortable ride, though our pick of the engines is a 1.6-litre 118bhp diesel that is refined and fairly quick, getting you from a standstill to 62mph in 11.2 seconds. There is a more powerful diesel engine on offer which is significantly quicker, but it comes wedded to a less usable five-speed gearbox. The petrol engine, meanwhile, is the smoothest and quietest in the range but will cost more to run, averaging fuel economy returns of 39.2mpg, which might be hard to stomach for families. The 1.6-litre diesel your cheapest option, as it can return 64.2mpg. The car feels well built in the cabin, although there is a noticeable use of cheap plastics. It isn’t as classy as some more upmarket rivals in this class and like the Toyota, its interior is more functional than showy. However, the cabin is quiet and comfortable and visibility is very good. There are also no complaints on the practicality front, offering plenty of head and legroom, both upfront and in the back. The boot measures 589-litres, is well shaped and comes with a gigantic opening. If you opt for the four-wheel drive model, you also get a very capable towing car that can easily pull a caravan along with no hassle. The new car is bigger than it’s ever been and thanks to a modified design, it’s also never looked better. Crammed with standard kit and able to boast solid economy, it’s a bit of a left-field choice but comes with just as much quality as more established rivals. This is a competitive sector, but if your instinct is telling you to give the new Toyota Rav4 SUV a test drive, we’re not going to stop you.